With the holidays approaching, maybe you’re looking for a simple but elegant brunch offering for your guests, or maybe just something a tad bit special for yourself. This savory custard should please about anyone – – I even like it and eggs are not my favorite! It must be the garlic-infused cream, or the nutty cheese…or perhaps…BACON. Ok, it’s the bacon. I used Comte for the cheese, but I think the flavors here will readily adapt to other cheeses as well. The classic combination with Gruyere or Emmental, or a smoked cheddar or Gouda all sound like good choices. This custard would make a fine meal with a small salad and some fruit. Preheat the oven to 325F. Place 4 custard dishes/ramekins in a deep baking pan. Add hot tap water to the pan, to halfway up the sides of the ramekins. Take care not to splash any water in the ramekins. In a heavy saucepan, bring cream and the smashed garlic to a bare simmer. Remove from heat and allow to steep for 10 minutes. Whisk together the eggs, salt, pepper, nutmeg and thyme (if using) in a mixing bowl (preferably with a spout for pouring). Remove the garlic clove from the cream and discard (or save for another use). While valiantly whisking, pour a steady stream of hot cream into the egg mixture to temper the eggs. After about 1/2 the cream has been added, you can pour in the rest more quickly, while still whisking. Stir in half the bacon, reserving the rest for a festive bacon garnish. Divide the grated cheese among the ramekins. Pour the egg mixture over the cheese. Place in the oven carefully, and bake for 45 minutes or until the custard is set (barely wiggly in the center) and slightly browned on top. Remove custards from the baking pan and let cool for ten minutes. Garnish with the reserved bacon and serve warm. Welcome back! Lots of new music I need to tell you about, we’ll start with two. 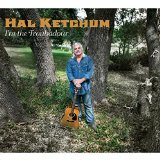 First up, Hal Ketchum’s new one, I’m The Troubadour . Hal had a string of hits in ’90s, and when I heard this on Steve Earle’s Outlaw Country show, knew it was a must get. “Baby I’m Blue” and “New Mexican Rain” are stand-outs here, but between Ketchum’s great voice, clever songwriting and the very live, roomy sound, anyone you pick is a winner. Kevin Gordon has been a East Nashville hero for years, but until a few weeks ago I hadn’t made the acquittance yet. A friend suggested O Come Look at the Burning , and boy, was he right. Recorded in his house, this is one sharp sounding record. 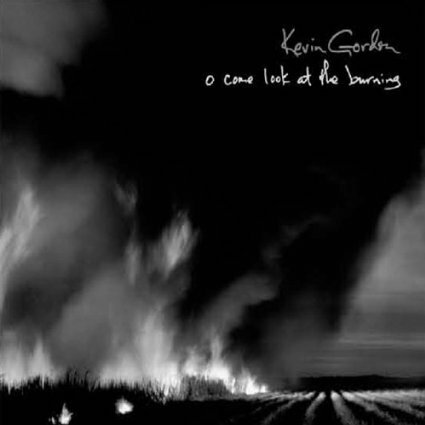 Gordon’s cynical world-view, coupled with some infectious grooves makes this a classic album. “24 Diamonds” and a to the limit version of Willie Dixon’s “Crazy Mixed Up World” give you a hint of his unique, shakin’ sound. This entry was posted on December 20, 2014 by She cooks...He cleans in Appetizers, Brunch and tagged appetizer, bacon, baked, breakfast, brunch, cheddar, cheese, comte, custard, eggs, emmental, gluten free, Gouda, grain free, holidays, low-carb, paleo, primal, ramekins, recipe, smoked cheddar.